Hold on to your pants. This stuff is exciting. The terms “UCASU”, “us” or “we” refers to University of Creative Arts Students’ Union who own this website. “The Union” is University for the Creative Arts Students’ Union. You agree that you are only authorised to visit, view and to retain a copy of pages of this Site for your own personal use, and that you shall not duplicate, download, publish, modify or otherwise distribute the material on this Site for any purpose other than to review event and promotional information, for personal use, or to purchase tickets, membership or merchandise for your personal use, unless otherwise specifically authorised by UCASU to do so. You also agree not to deep-link to the site for any purpose, unless specifically authorised by UCA Students’ Union to do so. The content and software on this Site is the property of UCASU. We may post legal notices and credits on pages of the Site, which may not be removed. Please do not remove these notices or these credits, or any additional information contained along with the notices and credits. UCASU does not promise that the Site will be error-free, uninterrupted, nor that it will provide specific results from use of the Site or any Content, search or link on it. The Site and its Content are delivered on an “as-is” and “as-available” basis. UCASU cannot ensure that files you download from the Site will be free of viruses or contamination or destructive features. UCASU disclaims all warranties, express or implied, including also any implied warranties of merchantability and fitness for a particular purpose. UCASU will not be liable for any damages of any kind arising from the use of this Site, including without limitation, direct, indirect, incidental, and punitive and consequential damages. UCASU makes no guarantee of any specific result from use of this Site or use of any services associated with the Site. UCASU disclaims any and all liability for the acts, omissions and conduct of any third party users, UCASU users, advertisers and/or sponsors on the Site, in connection with any services provided or otherwise related to your use of the Site and/or the associated services. 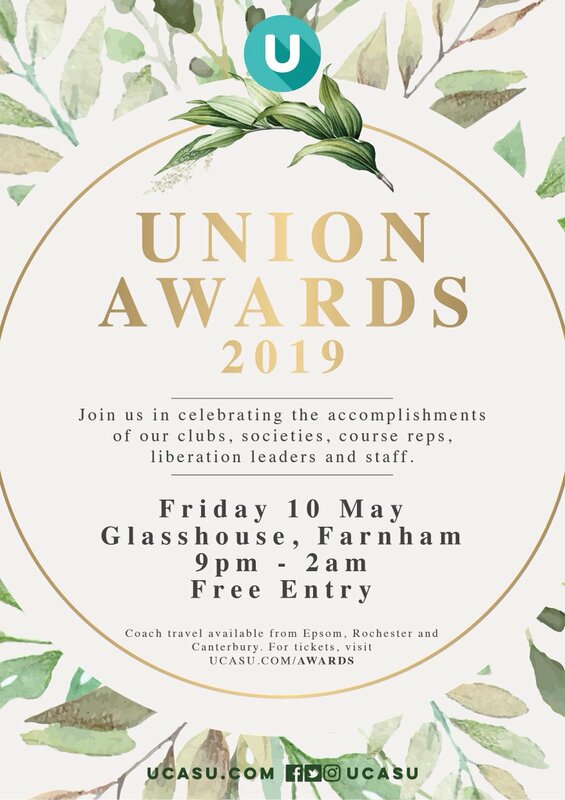 UCASU is not responsible for the products, services, actions or failure to act of any venue, performer, promoter, Club Captain or Society President, Administrator, or other third party in connection with or referenced on the Site. Without limiting the foregoing, you may report the misconduct of users and/or third party advertisers, service and/or product providers referenced on or included in the Site to UCASU at [email protected] UCASU may investigate the claim and take appropriate action, in its sole discretion. This website and its content is copyright of UCASU – © UCASU 2010-2015. All rights reserved. We will terminate the privileges of any user who uses this Site to unlawfully transmit copyrighted material without a license, express consent, valid defence or fair use exemption to do so. In particular, users who submit Content to this Site, whether articles, images, stories, software or other copyrightable material must ensure that the Content they upload does not infringe the copyrights or other rights of third parties (such as privacy or public rights). After proper notification by the copyright holder or its agent to us, and confirmation through court order or admission by the user that they have used this Site as an instrument of unlawful infringement, we will terminate the infringing users’ rights to use and/or access this Site. We may, also in our sole discretion, decide to terminate a userâ€™s rights to use or access the Site prior to that time if we believe that the alleged infringement has occurred. The Site may automatically produce search results that reference or link to third party sites throughout the World Wide Web. UCASU has no control over these sites or the content within them. UCASU cannot guarantee, represent or warrant that the content contained in the sites is accurate, legal and/or inoffensive. UCASU does not endorse the content of any third party site, nor do we warrant that they will not contain viruses or otherwise impact your computer. By using the Site to search for or link to another site, you agree and understand that you may not make any claim against UCASU for any damages or losses, whatsoever, resulting from your use of the Site to obtain search results or to link to another site. If you have a problem with a link from the Site, please notify us at [email protected] and we will investigate your claim and take any actions we deem appropriate in our sole discretion. Although UCASU cannot monitor the conduct of its Users off the Site, it is also a violation of these rules to use any information obtained from this Site in order to harass, abuse, or harm another person, or in order to contact, advertise to, solicit or sell to any User without their prior explicit consent. No area of this Site may be used by our visitors for any commercial purposes such as to conduct sales of tickets, memberships, merchandise or services of any kind. You must obtain UCASU’s prior written consent to make commercial offers of any kind, whether by advertising, solicitations, links, or any other form of communication. Without limiting the foregoing, you may not use this Site to resell or link to other sites for the purpose of selling tickets or merchandise of any kind. We will investigate and take appropriate legal action against anyone who breaches this provision, including without limitation, removing the offending communication from the Site and barring anyone breaching this provision from use of the Site. We reserve the right to block access to this Site or to UCASU’s other services, or to cancel a ticket order or membership with respect to any person who is known or reasonably believed to be: a) acting unlawfully, or breaching these Terms, or infringing UCASU’s rights, or utilising automated means to process or place ticket orders, or whose ticket order exceeds the stated limit; or b) associated with any person who is known or reasonably believed to be acting unlawfully, or breaching these Terms, or infringing The UCASU’s rights, or utilising automated means to process or place ticket orders, or whose ticket order exceeds the stated limit. Exceeding any limitations or breaching any terms on the Site will be deemed to be a breach of these Terms.